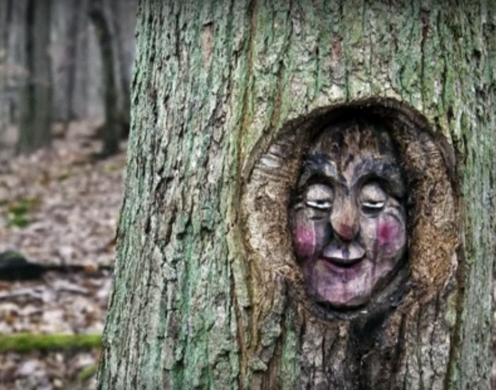 The many—66 to be exact—faces of the German forest. If a tree falls in a forest and no one is around to hear it, does it make a sound? The question that has long plagued philosophers proves not to be an issue in Germany’s Bingen forest. An easy walk through the wood, just past the Reichenstein Castle, unearths a little-known but expansive hidden wonder. 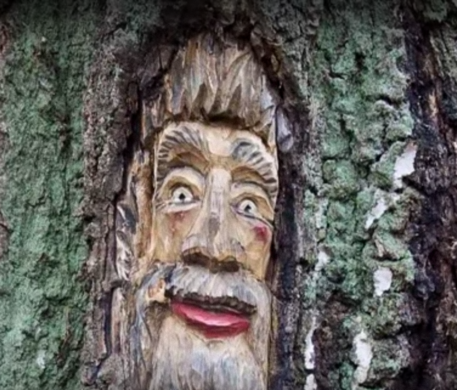 Sixty-six faces carved into tree trunks make up a section of the wilderness—wooded ghosts, goblins, elves, and trolls that are collectively known as Stockschleifern. The faces of Stockschleifern were named after a wandering group from Weiler. The group opened the side valley of the Morgenbach river (which flows right next to where the faces are located) to the public in 1974 by adding wooden bridges. 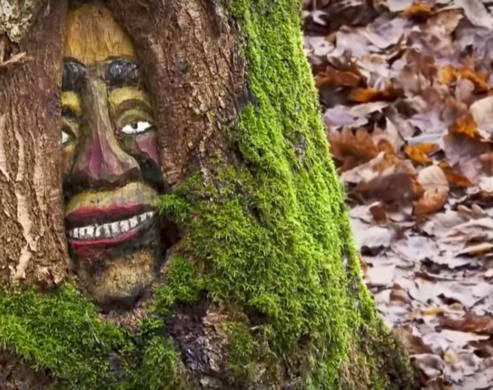 Rumor has it that it’s not just the mythical creatures’ faces that reside in the trees at Stockschleifern—it’s their souls as well. That, however, is something visitors must determine for themselves.